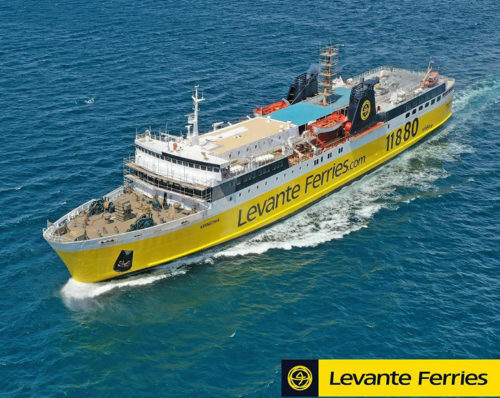 After having been rebuilt for Levante Ferries, KEFALONIA is seen here doing sea trials. Unity Line’s KOPERNIK has arrived in Perama, Greece. Whether or not the vessel will be scrapped is unclear. Trasmeditteranea’s newly renamed CIUDAD DE MAHON resumed service between Barcelona and Ibiza on Wednesday 10 April. This year, HSC GOTLANDIA will be on standby with Destination Gotland. GOTLANDIA II will sail to Västervik.